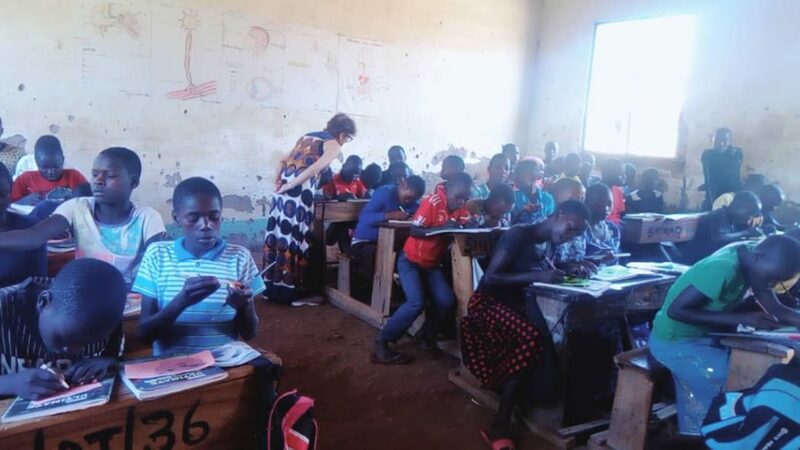 Note: Nicole Halabi and Louise Sherman volunteered their time developing curriculum, teaching English lessons, and creating a volunteer handbook for Project Zawadi’s English Bridge program this past November/December. The English Bridge program is an intensive 7-week workshop. It is designed to give students graduating from primary school a boost to their English language conversational and writing skills. In Tanzania, the language of instruction changes from Swahili to English when a student starts secondary school. English Bridge students practicing their composition skills. 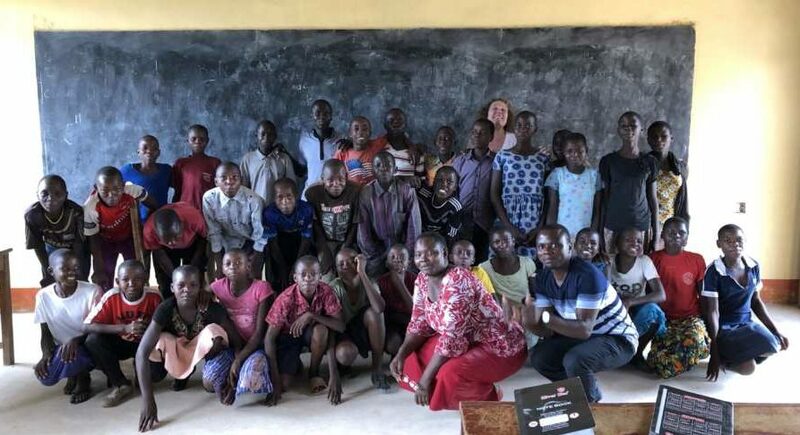 It was my privilege to serve as a volunteer teacher with the English Bridge Program through Project Zawadi in November – December, 2018. 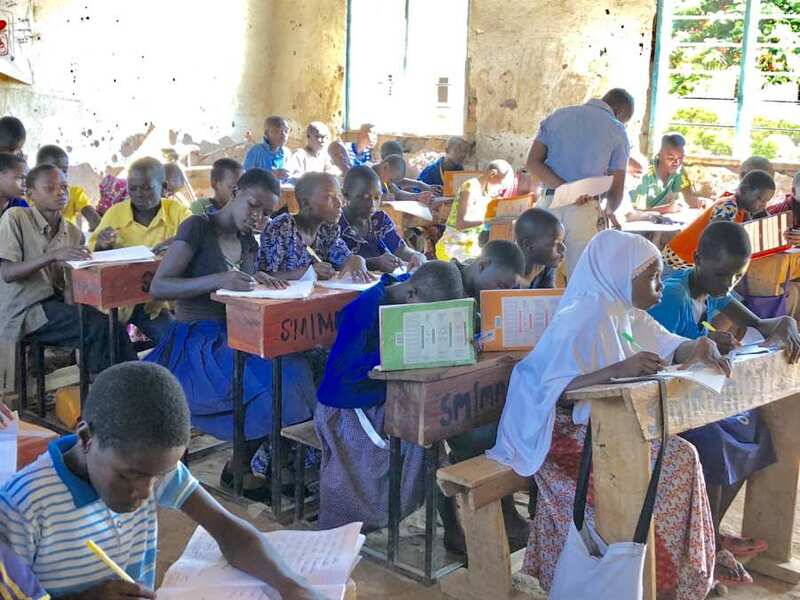 The English Bridge program was conducted at four primary schools: Busore, Sarawe, Kurasanga and Marambeka in the Northern Mara region of Tanzania. Students who are entering secondary school attend this program to strengthen their English language skills. Instruction is delivered in English using a collaborative team teaching model with local teachers and native English speakers. English Bridge teachers with volunteers Nicole and Louise. 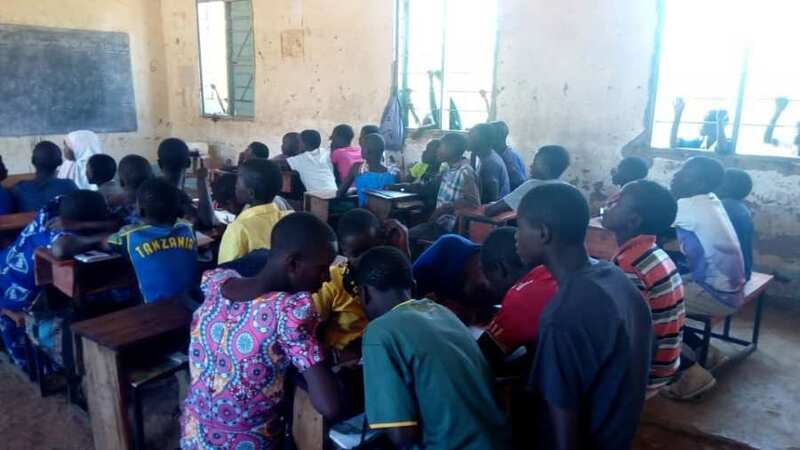 All courses in secondary school in Tanzania are taught in English. The students have received English as a subject in primary school, however, this is their first exposure to the entire school day being taught in English. It was very exciting to experience the students blossoming from reluctant English speakers, simply copying down English vocabulary words, to active participants in the lessons both in conversations and generating written assignments. 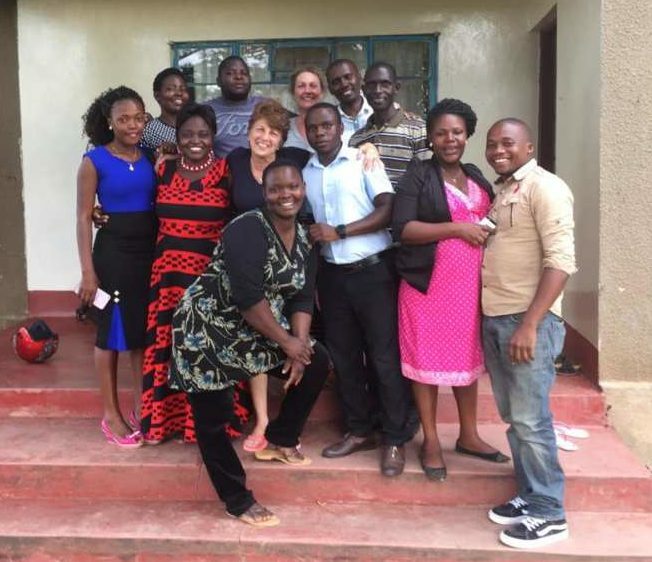 The teachers, coordinator, Project Zawadi staff, and Ikizu High School lodging hosts, were welcoming and supportive. The experience for me and fellow volunteer teacher, Louise Sherman, was one I will never forget. It transformed me as a person and opened my heart to the beauty of Tanzania and the children I taught. I hope to return and volunteer again soon. Asante Sana! Students and teachers in one of the classrooms in which Nicole volunteered. 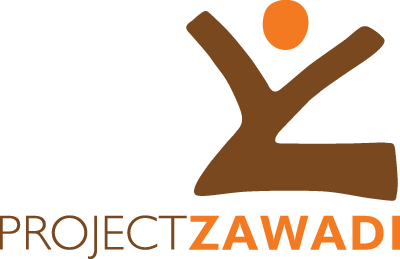 Volunteering with Project Zawadi in November 2018 was undeniably the highlight of my year. I spent a month teaching graduating Standard 7 students conversational English, in preparation for their entry into secondary school. And what a treat it was! I am not sure who got more out of it…the students or me! Students practicing their skills with each other during group work. When I arrived at school at 8:30 am to prepare for the 9:00 am start, I would find the class already occupied with the students anxious to begin their learning. They loved the curriculum and participated fully – even though they were sometimes puzzled by the ‘western’ approach to learning. Interactive and fun was far from the traditional (lecture style) approach common in rural Tanzania. I created the curriculum knowing that their English would be quite limited – and my Swahili even more so. We used songs, games, arts & crafts, and acting to help them learn about everyday topics like family, occupations, weather, health, etc. In addition to the lessons, students also really enjoyed our mid-morning fitness breaks when we went outside for some exercise and to re-energize. I think the Hokey-Pokey was an all-time favourite. One boy fell down on the ground laughing joyously at this new way of learning. 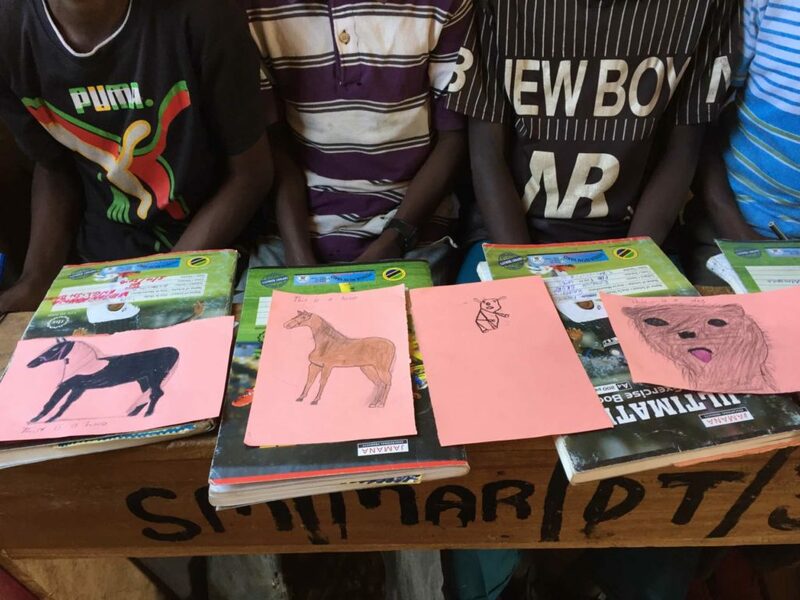 Learning through art – a lesson on animals. The experience was further enhanced by the wonderful people with whom I worked on the project – Adrian, the Project Zawadi English Bridge director went above and beyond to make sure that my stay was top-notch. The teachers were amazing – so welcoming and kind and very eager to hear about how things are done in the west. My confrere, Nicole, and I spent many an hour sharing experiences and laughing – usually at ourselves. And lastly, a special call out to the headmaster and his wife at the Ikizu Secondary school where I stayed. Their whole family treated me like royalty, Tanzanian-style of course. Sadly, it all came to an end too quickly. However the memories will linger on forever. These kids have a way of stealing your heart and never letting go. I miss them all and am looking forward to returning next year for another rewarding and fulfilling experience. Asante sana! Louise working with students in a classroom at Marembeka.